The Chicago Botanic Garden has matured into one of the world’s great living museums and conservation science centers. In 2014, more than one million people visited the Garden’s 26 gardens and four natural areas, uniquely situated on 385 acres on and around nine islands, with six miles of the lake shoreline. The Chicago Botanic Garden has 50,000 members, which is one of the largest memberships of any U.S. botanic garden. People of all ages, interests, and abilities participate in programs, take classes, and stroll the grounds year-round. 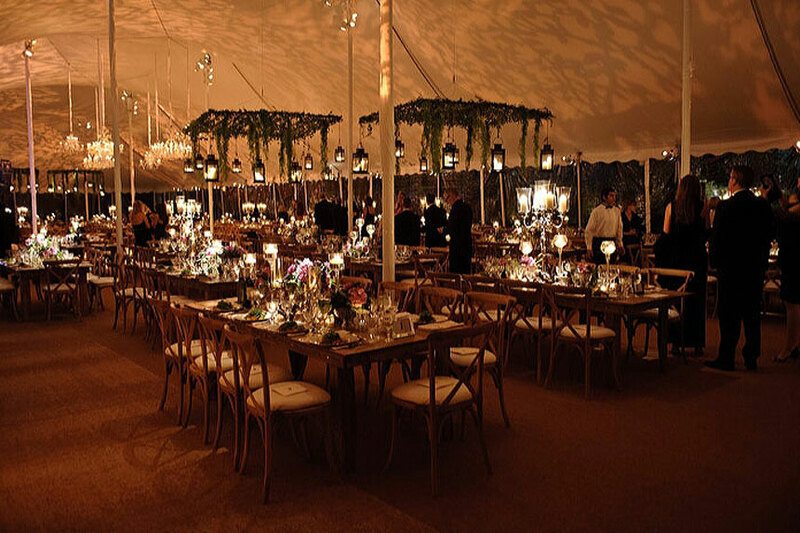 The Guild of the Chicago Botanic Garden held its annual Harvest Ball on Saturday, September 20. 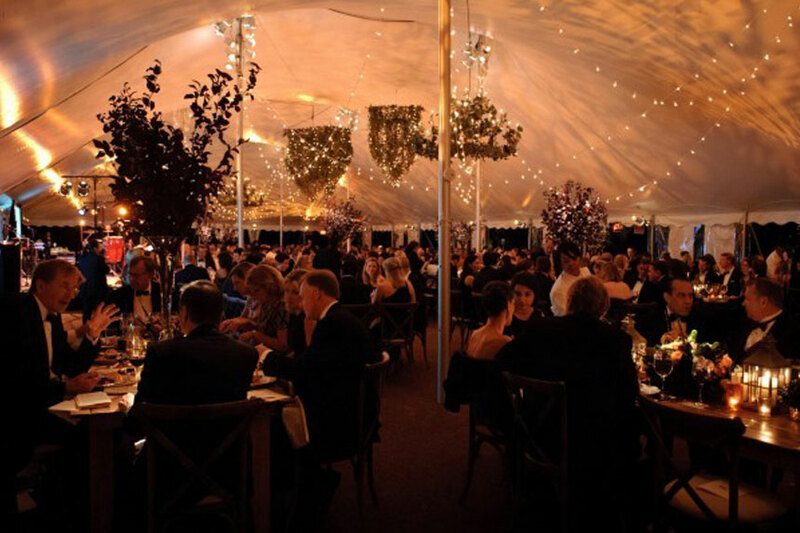 The Chicago Botanic Garden in all its fall beauty serves as the backdrop for the Harvest Ball and offers a unique location for an evening of dinner and dancing at this black tie garden party. This event is attended by many Chicago civic leaders and raised over $2.5 million dollars to benefit the Garden. Arena Americas installed a dramatic pole tent with over 8,000 square feet of flooring, a custom inlay dance floor and climate control. 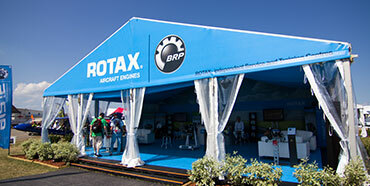 We provided a laydown plywood floor with seamed carpet through the entire tent. The dance floor was inlayed flush with the carpet to provide a consistent look throughout the area.